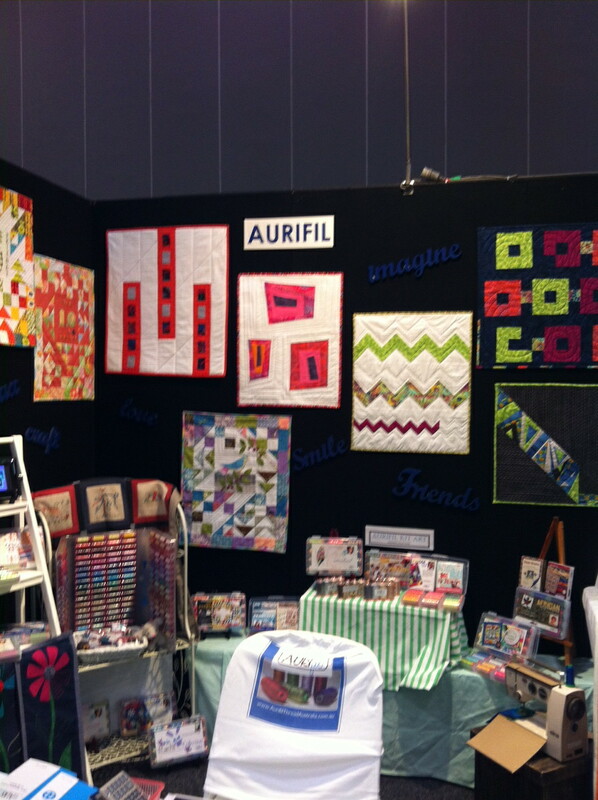 This entry was posted in Home page and tagged Melbourne Exhibition Centre, Melbourne Wholesale Quilt Market. Bookmark the permalink. The Spool Quilt is wonderful … love it! Thanks for your praise – we enjoyed designing and making it too. I too love the spools of Aurifil Threads Quilt! It looks so cool. I think I might just have to make one too! Congratulations on the great look of your stand. Only one thing wrong with the display!!!!! I wasn’t their to see it! Maybe one day. 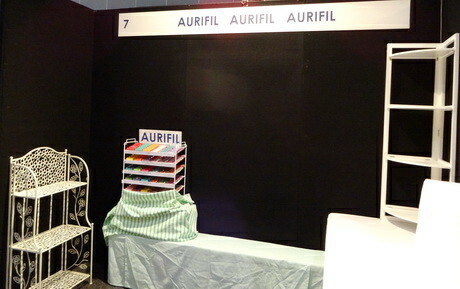 Now, I wish you would come to the Adelaide Quilt show. We don’t get any thread companies coming and displaying their wares. Nor do I see much threads on display by other retailers. Although this year Punch and Judy did display a lot of Superior Threads but they were very expensive when compared to Superior’s own web sites prices. I get their newsletters and do buy a number of their threads for special quilting jobs from USA as their are no local stores in Adelaide that stock it! However, the main important thread that I do love and use almost everyday is Aurifil, the sewing and quilting results are magnificience. The store I can only get it from is some considerable distance on public transport from my home so I usually look up your thread site to see a suitable colour no. and cross fingers that they (local store) have that no. in and buy it over the phone. They then post it out and within 24-48 hours I usualy get it in my hot little hands. So thanks for your wonderful colour charts I appreciate you being their. If I get stuck and my local store doesn’t have the colour in can I get it for you? Julie Beard. julie714@adam.com.au. 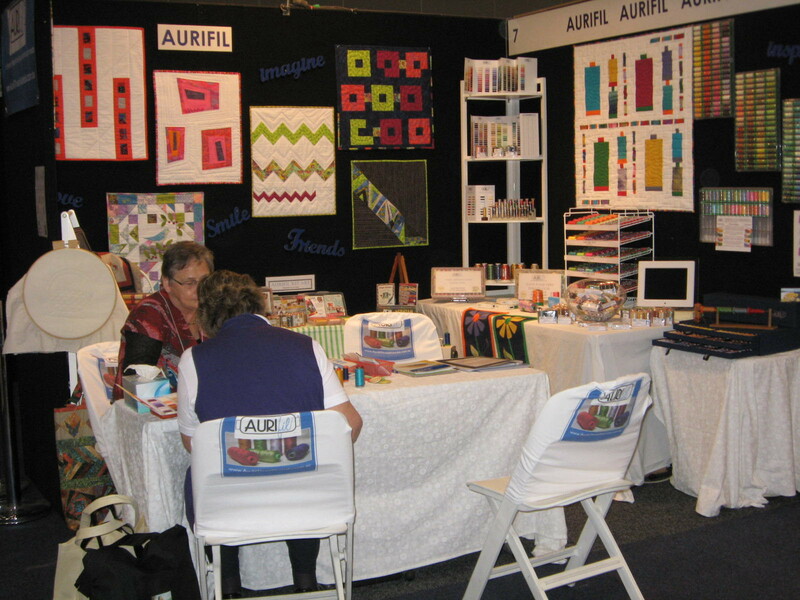 Hi Julie, The Australian Quilt Market is the wholesale show for shops to see the latest fabrics, patterns, threads and other textile related products so it is quite different to the craft & guild shows where things are available for immediate “cash & carry”. I am pleased that you have found Hettie’s Patch in Adelaide, but sorry to hear that it is a long distance from your home. 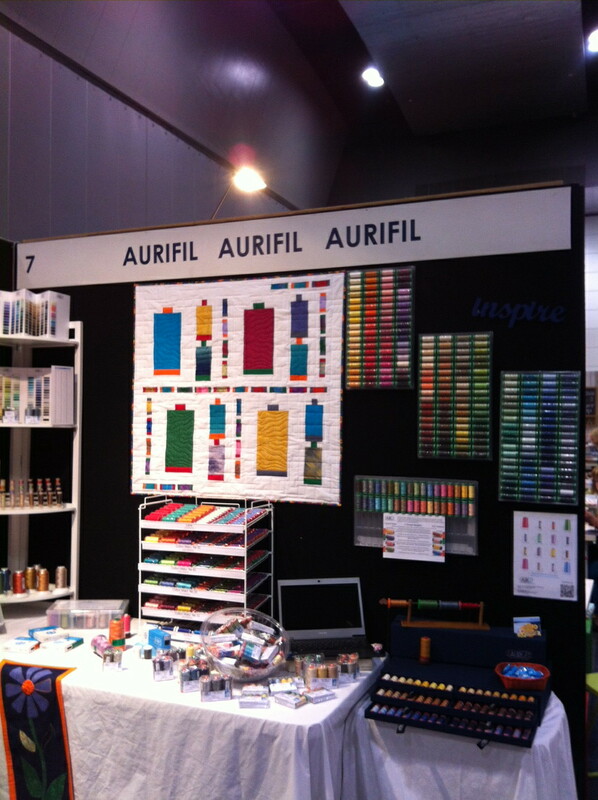 Try asking for Auriil at your local patchwork shop to encourage them to become a stockist. I always think that the shop owners like to know that they will have a keen market before they add a new product range, so it helps with their decision making if they have inquiries, and recommendations, from their existing customers. And of course, you are always welcome to visit the Always Quilting online store.